Since the day we launched Company Profiles, one of the most commonly requested features from our members has been to keep track of key developments at companies they like. Starting today, you can be in the loop on new developments, potential business opportunities or even job opportunities by following companies of interest to you. 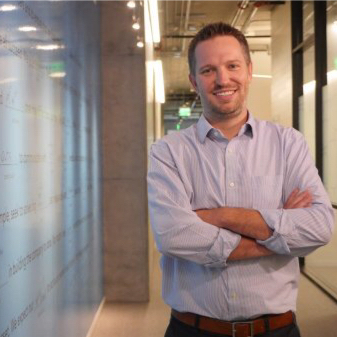 “Follow Company” helps you be among the first to learn about developments at companies like DreamWorks, find job openings at NASA or stumble upon business development opportunities at Netflix. The new feature lets you tap into key goings-on at nearly a million companies that already have their company profiles on LinkedIn and more that are being created every day. Most importantly, this feature can deliver insights – you may be surprised at – such as the pace of hiring at your nearest competitor or the start of a whole new industry as you see web technology companies hiring geography teachers (for e.g.). Or better yet, you may find the job of a lifetime to do cause marketing for Major League Baseball. 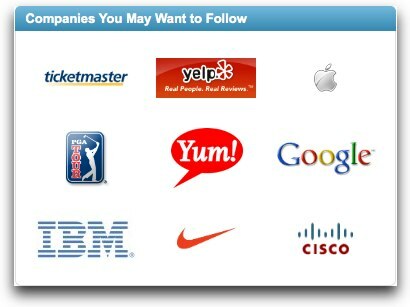 How do I “follow companies” on LinkedIn? From any member’s LinkedIn profile: If a member is / was affiliated with a company, you can click through any of the companies listed on their profile. Start by clicking to your own profile or find a colleague's profile. Once there, mouse-over any of the companies listed and click the "Follow Company" icon from the hover bar that pops up. From the Company Profiles: Let's say you find yourself on a company profile by searching for a specific company name or keyword to find companies of interest. Start following from the company’s profile page. From the More menu on the LinkedIn homepage header: The easiest way to find the Company Profiles homepage is from the "More" drop down list on the LinkedIn header. Wondering which companies to follow? The Company Profiles homepage even has Company profile recommendations for you to check out. We’d also like to give you the flexibility to choose the volume of updates you receive from these companies. 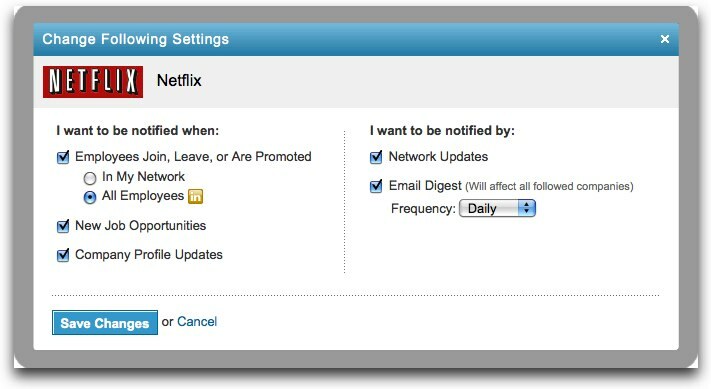 Select “Notification Settings” to determine the type, frequency and format of updates for the companies you are following. This is a small step in equipping over 65 million professionals on LinkedIn today with more insight into managing their career effectively. Stay tuned for more. Feel free to drop us a comment right below or @linkedin us on Twitter with more feedback.